Where do you go when you are exhausted and in need of rest? 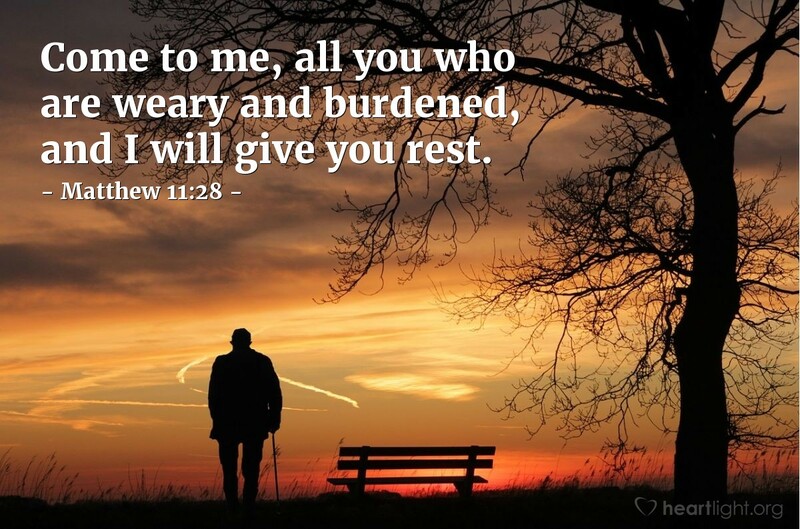 No bed, no vacation, no retreat can give us a truly refreshing rest if that rest doesn't involve coming to Jesus. So what are you waiting for? Come to Jesus and and enjoy the blessings of his presence, his love, his forgiveness, his grace, and his rest! Almighty God, your Son Jesus is my strength and hope. I look forward to the day when he returns in triumph for me and all of your children. But Father, I want to know him better and to live for him with an undivided heart. I want to find rest in his presence, meaning in his service, and significance in his acceptance. Please bless me as I journey toward a deeper relationship with you and as I gain a more profound knowledge of your Son. In the name of Jesus Christ my Lord, I pray. Amen.